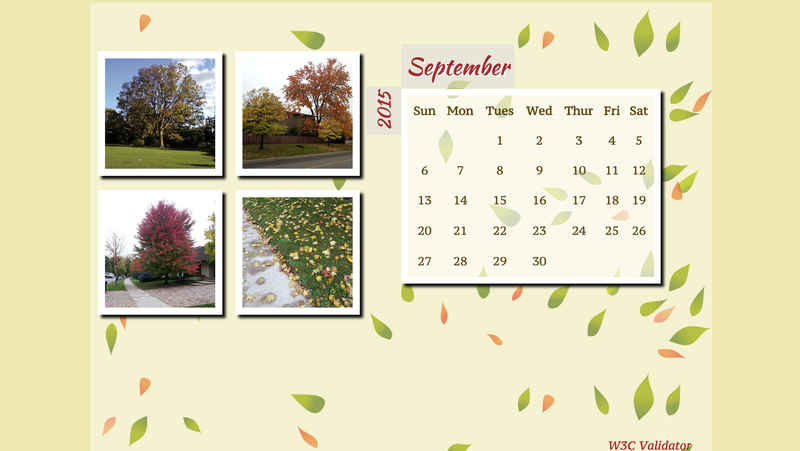 At the end of this class we had to create a Calendar using HTML5 and CSS3. 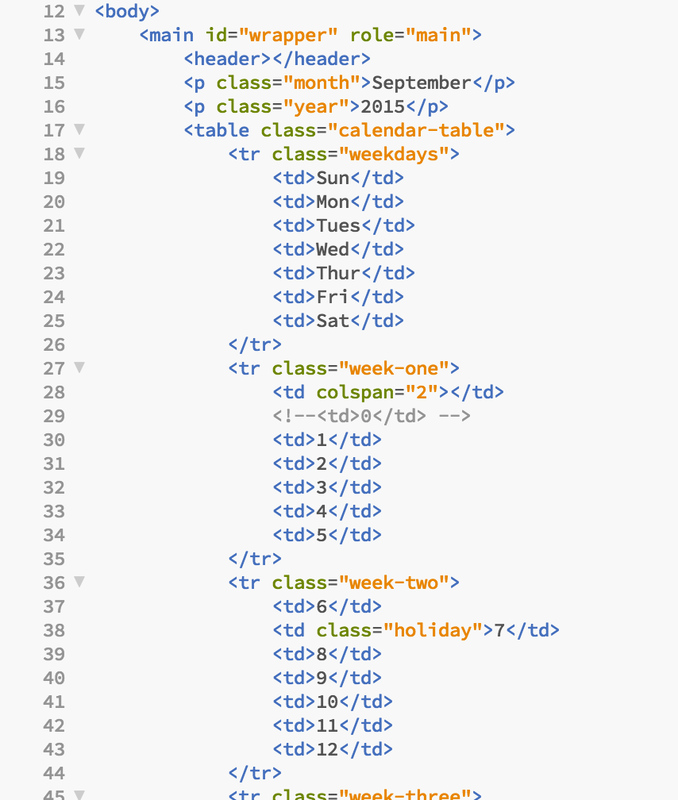 The entire layout of the calendar should be created using a valid HTML table, as it is one of the few legitimate uses for that markup. Before jumping into building my web page, I decided to answer a few questions and to draw a wireframe so I don’t start from zero and ended up changing on the way. Which month of which year will you choose? What is notable about that particular month? My birthday is on September and it is also the beginning of my favorite season: Fall! What holidays are present in that month? 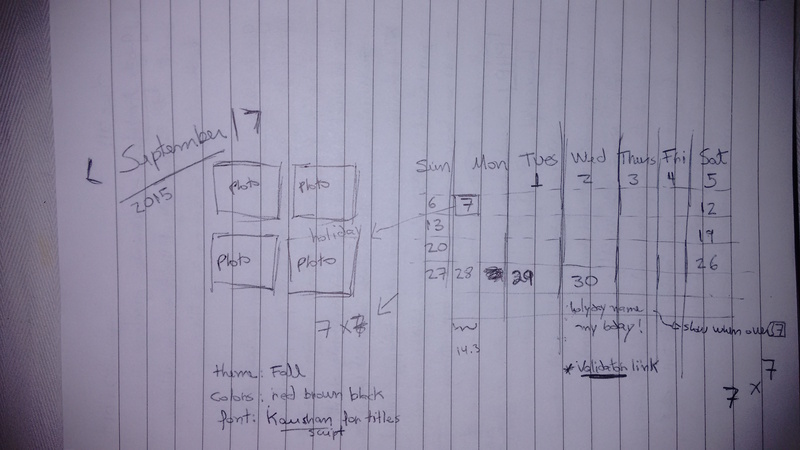 What will be the overall theme of the calendar? What colour scheme would be most appropriate for that month? What kinds of typefaces will help set the tone for your calendar? Are there images that can be used to help establish the theme? 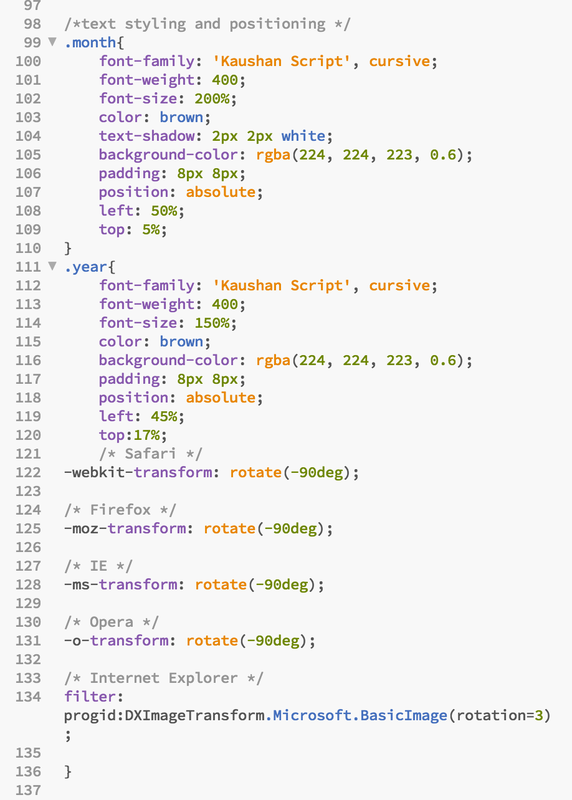 To add colours, fonts, images, background and also the positioning of everything I used CSS3. The mouse effects were also added on the CSS3 file. This is the CSS of my Month and Year texts. Note that I was able to rotate the Year 90 degrees using the transformation effect rotate. I also used this effect on photos to make the ’tilt effect’ when the mouse goes over them. Very nice! It was interesting to see your design evolve. Great post Gisele. You’re progressing in the course very well. Your cal looks great.